WEN Map Marker is very helpful plugin to display Google Map in your site simply typing your address which any knowledge of the coding. Post type can be selected from setting and latitude & longitude can be set for each post. We have also added button in editor which enable to add map shortcode in post. 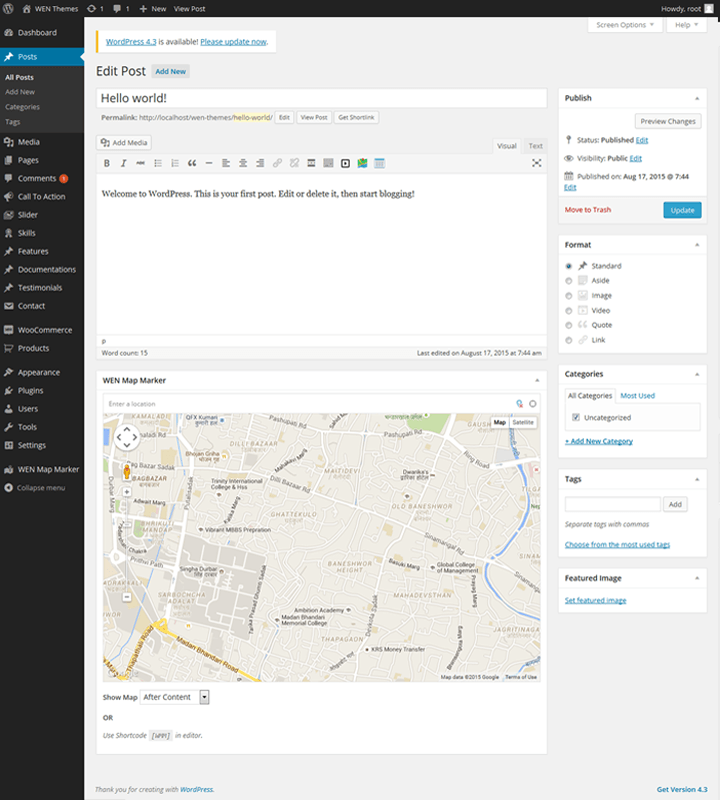 You can also generate shortcode for map regardless to the post, which can be used in your post, page or sidebars. Custom zoom level can be set for each map. This plugin is very much useful for your pages like contact page, etc where you can show location of your organization in map.